An activity for very young learners. 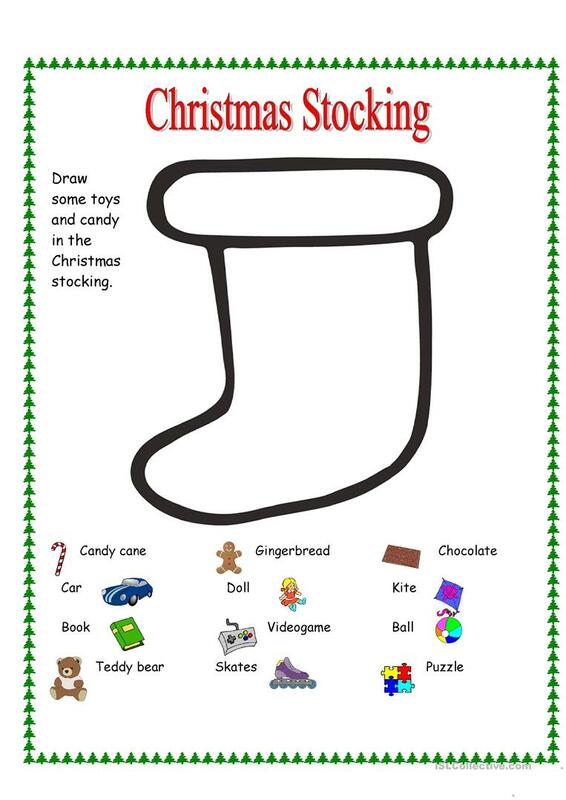 First review the vocabulary provided, have them draw what THEY´d LIKE to receive from Santa and then ask them the names of the toys and candy that they picked for their stocking. The above downloadable worksheet is best suited for elementary school students and kindergartners and nursery school students at Beginner (pre-A1) and Elementary (A1) level. It is about the topic and words of Christmas.